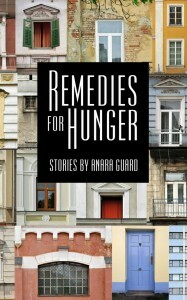 This new collection of twelve short stories by Anara Guard focuses on moments in life when something turns, a choice is made, a promise is kept or broken. With vivid and precise details, these quiet tales introduce you to characters whose inner lives are both troubled and eloquent. You smell the permeating odors in a rundown Chicago apartment building, touch the texture of a bear’s thick fur, feel your feet scraping against the coils of a hairy rope ladder in the bathtub. These compressed, observant tales provide a remedy to readers hungry for stories that will resonate long after the last page is turned. Directly from New Wind, Barnes and Noble, or your local bookstore. Write a review on the Goodreads page.